Automatic 2012 Mercedes-Benz SLS AMG with 20 inch wheels, tuner/radio, power locks, beige interior, brown exterior. 8 cylinder white 2014 coupe. Black interior. Power locks, 20 inch wheels and AMG wheels. 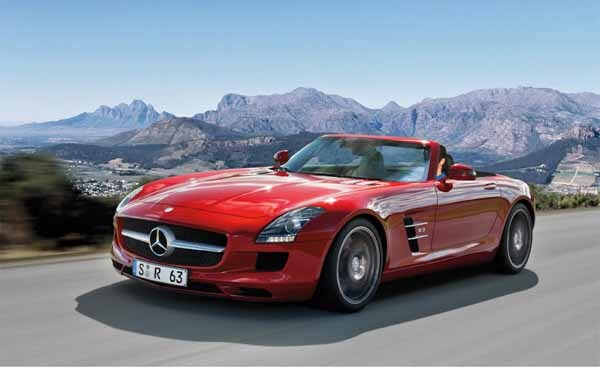 Automatic Mercedes-Benz SLS AMG with 18 inch wheels, power locks, power windows, red on the outside, beige interior. 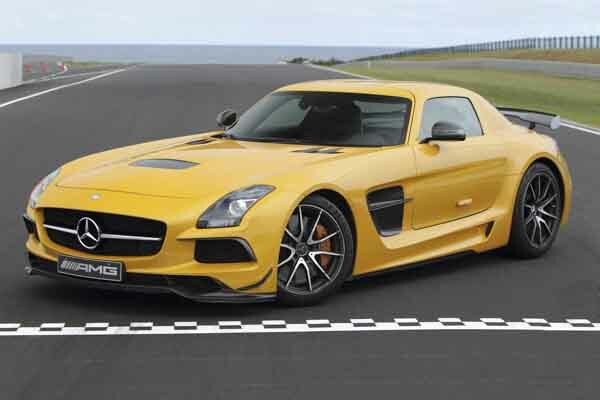 2013 Mercedes-Benz SLS AMG, priced at AED 525,000, with features such as , ,. It has red interior and is Black. GCC spec. Mercedes-Benz SLS AMG //AMG BLACK SERIES IN FABULOUS CONDITION! EXCLUSIVE OFFER! GCC spec 2014 Mercedes-Benz featuring air conditioning, front wheel drive, AUX audio in. Grey/Silver with black interior. GCC spec 2014 Mercedes-Benz SLS AMG, 8 cylinders, white coupe with black interior. It comes with ABS and power windows. Grey/Silver 2011 8 cylinder coupe. Price AED 999,000. Black interior. It has all wheel drive and power locks. Yellow 2014 8 cylinder coupe. Black interior. It has power windows and power locks. 8 cylinder black 2011 coupe. Red interior. Tuner/radio, 20 inch wheels and power windows. Price: AED 549,000. Black 2014 8 cylinder coupe. Price AED 2,200,000. Black interior. It has power windows and CD player. GCC spec 2012 Mercedes-Benz with Power windows, 20″ wheels and Power locks. Price reduced! 8 cylinder grey/silver 2014 coupe. Black interior. Power windows, 19 inch wheels and power locks. 8 cylinder red 2011 coupe. Beige interior. CD player, 20 inch wheels and heated seats. GCC spec 2011 Mercedes-Benz with Air conditioning, 18″ wheels and Airbags (front and side). Price reduced! Tyler - I had to import my second hand Mercedes-Benz SLS AMG Black Series from the US as they are very hard to find in Dubai. Impressive car, incredible power and just looks better than anything else on the road. Pros: Doors, looks and power. Cons: Even though the doors are amazing, I still get scared when I open them. Mohammed - Pre-owned convertible SLS AMG may not have the doors but still looks great. Perfect for the UAE weather especially during the winter time. Pros: Options, power and looks. Cons: Heated seats but no cooled seats and interior is a little cramped. Majid - Amazing cars, very powerful, amazing sound and the interior is comfortable for a sports car. Price can be a little high. Pros: Power and looks like nothing else on the road. Cons: Can’t be driven every day. POWER! With a naturally aspirated 6.2-litre (not 6.3L) V8 engine, over 560 horsepower is thrown out of the engine and what a sound it creates. Those gullwing doors are enough to buy this car alone! Great resale value. Because of its gorgeous looks and powerful engine, they retain their value excellently. In export markets, it can be tricky, though. One day in the foreseeable future, these will be collectors items. If you find one used at a good price, BUY IT! For a sports car, it’s remarkably comfortable, and it has decent options inside. No cooled seats, though. Produced from 2010 until 2015, these mighty beasts take over from the SLR and has roots dating all the way back to the 50’s with the 300SL. What makes this vehicle so special? Yes it’s got an engine that will put hair on your chest, yes it sounds as if the building next to you is about to fall but the one thing that grabs everyone's attention are the gullwing doors. Over the years, it came in two forms a coupe and roadster, even though most people would say convertible cars look better, in this case, those people are wrong. It didn’t stop there, many iterations of the SLS were created over the years to rival the likes of Porsche 911, Aston Martin DB9 and Mclaren MP4-12C. Making its first appearance in showrooms around the world, the long bonnet and gullwing doors were enough to bring grown men to their knees. 19-inch and 20-inch rims covered in performance rubber came as standard along with leather seats with memory options, navigation, Bluetooth options, heated seats, keyless start and buttons to adjust various parts of the vehicle including suspension and engine notes. Inside a drive mode, selector allows drivers to choose from Sport, Individual and Comfort plus a few others. These modes can change throttle response, suspension and engine management to either a predetermined setting, or if individual mode is selected, drivers can alter those areas by themselves to create the ultimate driving experience. Additional features included Bang & Olufsen sound system, carbon ceramic brakes, alternative leather types, premium exterior paints and a sports steering wheel. 2010 saw a ‘Desert Gold’ edition launched at the Dubai International Motor Show in the same year. Featuring a unique coat of gold paint, blacked out side intakes and rims, very few were produced and rarely pop up for sale. Australians were also treated to special edition covered in Night Black and red highlights. Engine specs, drivetrain and gearbox all remained the same to standard models. 2011 introduced to four new models three of which were street legal and the other not being road legal. The first of the two was the Roadster, with its soft-top roof folding into the rear automatically all features remained apart from the gullwing doors, they were replaced by standard doors. The second of the two is an electric model powered by four electric motors capable of producing 526 horsepower; it’s unknown if any exist apart from the bright yellow one shown off. The third type which is not street legal is the GT3 version which is made just for the track. SLS AMG Matte Black edition is the fourth model introduced and was exclusive to Japan to celebrate the first year of the vehicle. Coated in the identical paint to the Australian limited edition with matte black exhaust tips, black leather interior MAG red brake calipers and a unique steering wheel. These models were only available in 2013, and just five units were made. 2012, saw another limited edition launch and is limited to just five units. Known as the SLS AMG GT3 45th anniversary, this model featured a matte body coat, ultra-durable carbon-fibre safety cell and bits of carbon-fibre placed onto various areas of the car. Regarding power, this thing is an absolute beast. AMG created a naturally aspirated 6.2-litre V8 petrol engine capable of generating 563 horsepower. 0-100 km/h is achieved in around 3.7 seconds, and top speed is estimated at around 317 km/h! Power is sent to the rear wheels via a 7-speed sports auto transmission with manual shifting modes. In 2012, a new engine was fitted to the SLS AMG GT. Now with a 20 hp increase, 0-100 time is achieved in 3.6 seconds which is 0.1 seconds faster than before. Available as a coupe or a roadster, everything else remained identical to that of the standard AMG GT. New optional features include carbon fibre mirrors, engine and various trims along with carbon ceramic brakes and other optional extras from “basic” SLS’s. This Generation brought the SLS AMG Coupe Black Series to showrooms. With an uprated engine to around 622 horsepower, 0-100 km/h time now dipped to 3.5 seconds. All the optional and extra features returned. However, this model has various racing style bodywork bits attached as well as unique badges, rims and rear spoiler. Another eco-friendly version popped up, this time, coated in metallic blue and called SLS AMG Electric Drive. Produced in a very limited quantity (again it’s unknown if any made it out the factory), power comes from four electric motors and a rated at an impressive 740 horsepower. 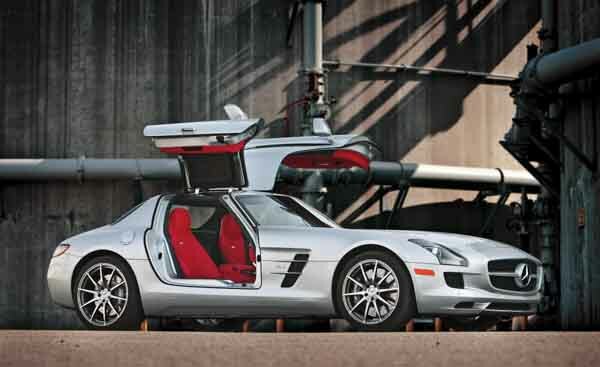 Towards the end of the SLS AMG’s lifecycle, the GT model was replaced by the GT Final Edition. Just 350 units were put in production, it took many components from various other special SLS’s and applied them such as the choice of paint schemes and rear spoiler. Many of the interior and exterior options remained similar to other models with the exception of standard features on this model included a rear camera, parking sensors and a carbon fibre centre console.